Food, in every form, is ubiquitous in Kuala Lumpur. From crowded Chinese food joints serving lots of strange (at least to me) dishes I had never heard of to street food stalls selling delicious tropical fruits or all-you-can-fry (that’s a word I just happen to invent, but fried food apparently is very successful here) up to fashionable places offering excellent food in a modern and trendy environment. Getting around with Umei – one of the best food and travel writers in Malaysia – was a great opportunity to discover different sides of the city and its melting-pot of people and cultures with an exceptional guide. The first night we strolled in a street packed with food joints serving any kind of Chinese food, most of which rather awkward. Umei’s husband Joe led me through the stalls, introducing me to a number of dishes I didn’t even suspected existed. Most of all, he explained to me what was in every cooking pan, a great help since everything is written in Chinese. Although curious, I’m not as brave as other fellow travel writers – one above all, Keith who tasted some er… uncommon food like bull testicles – and there are things which are stronger than me. I know I should try, and that food is a cultural matter. But I just can’t. The most interesting thing of this culinary journey was discovering what a distorted idea we have in Europe of Chinese food. I already suspected that the dishes served in most restaurants in the Old Continent were an ‘edulcorated’ version, elaborated to fit the taste of local consumers. It was thus fascinating to see how much richer – although not always that tempting to my palate – the Chinese culinary tradition is. They eat any kind of thing, including bowel, stomach, chicken (or was it rooster?) head, plus lots of other stuff I can’t remember. One thing brought me back to my childhood in Switzerland, where one of the most sought-after dishes for a dinner between friends was ‘fondue chinoise’ or ‘chinese fondue’. 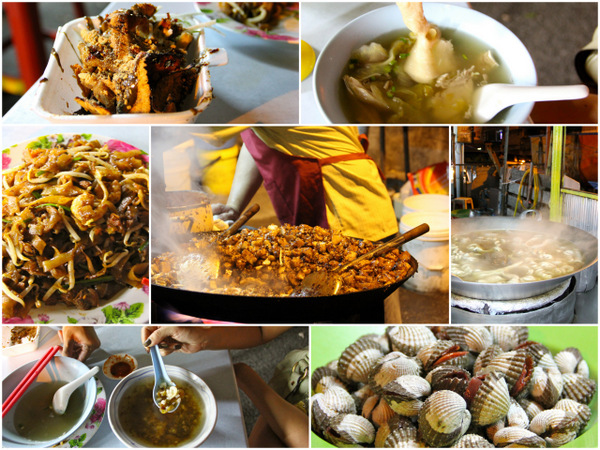 It consists in a bowl of broth containing some Chinese mushrooms and vegetables, boiling on a little gas-fire, where everyone cooks thin pieces of meat picking them on a stick, and seasoning them with various kind of sauces. Something similar to the ‘fondue bourguignonne’, although in that case bigger pieces of beef are cooked in boiling oil. While strolling along the Chinese food joints with Umei and Joe, I got the chance to see the authentic version which, apparently, inspired the Swiss interpretation of ‘fondue chinoise’. Ducked in the middle of a table is a pan with boiling broth, and people sitting around cooking in it any kind of food. Judging by the number of tables, it seemed to be quite popular although we did not stop for a tasting. The second night, Umei showed me a totally different environment. This time, it was a fashionable bar and restaurant in one of the trendiest areas of Kuala Lumpur, tastefully decorated and with a beautiful ‘al fresco’ dining area. 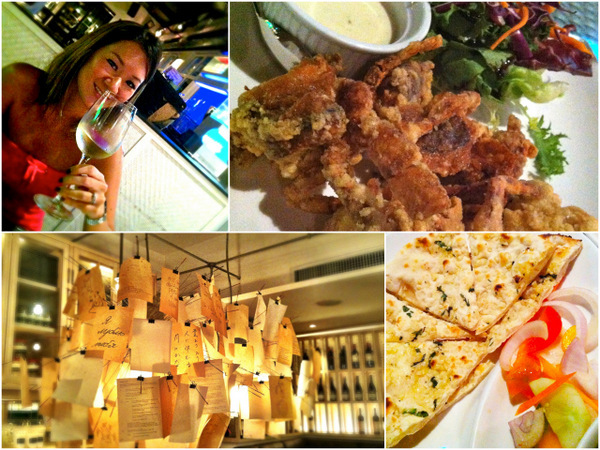 We shared a nice bottle of white wine to celebrate our long-awaited encounter and I tasted for the first time in my life soft shell crabs, a delicacy I will remember for a long time, together with a delicious duck breast salad. It was a short but intense culinary journey, made special thanks to Umei who made me discover dishes and places I would probably never have found by myself. Have you been to Kuala Lumpur? Which was your favorite food experience? If I were going to eat with anyone in KL that would definitely be the person I’d want it to be! You met Umei? Wow so lucky to have her show you all the food. 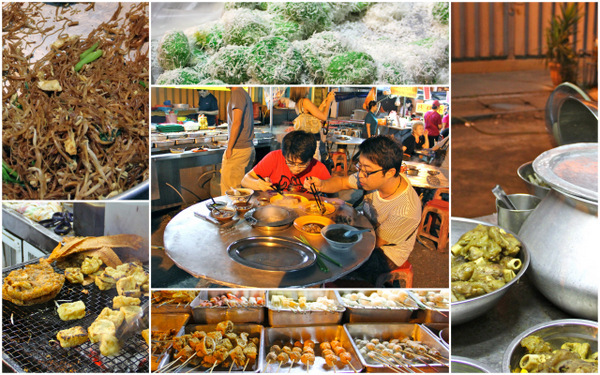 It looks like Kuala Lumpur is worth going to just for the food alone! I wouldn’t be trying the bull testicles either though. Great to know Umei took you around KL. Apologies as I was unable to follow you guys that day but it was indeed a pleasure to have met you the following day for some beers in Jalan Alor!